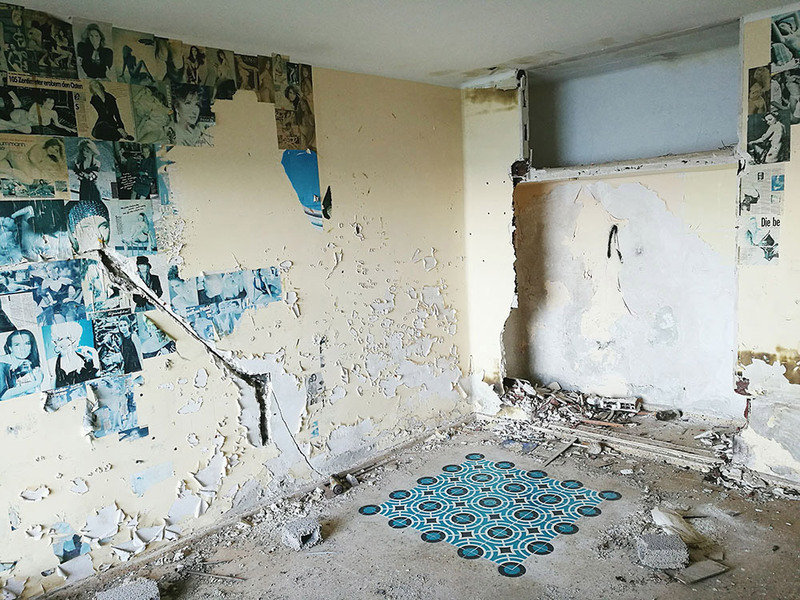 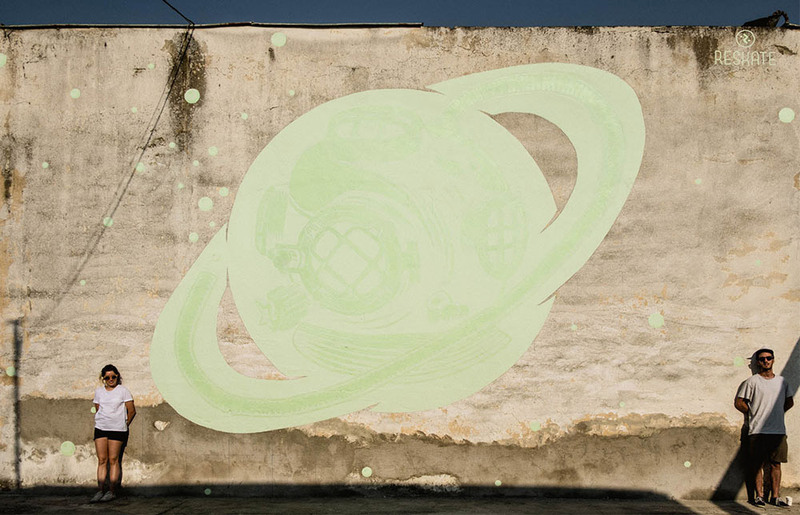 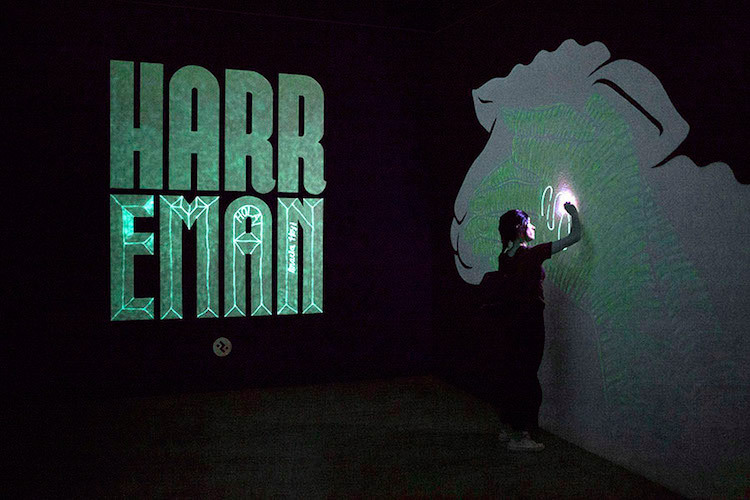 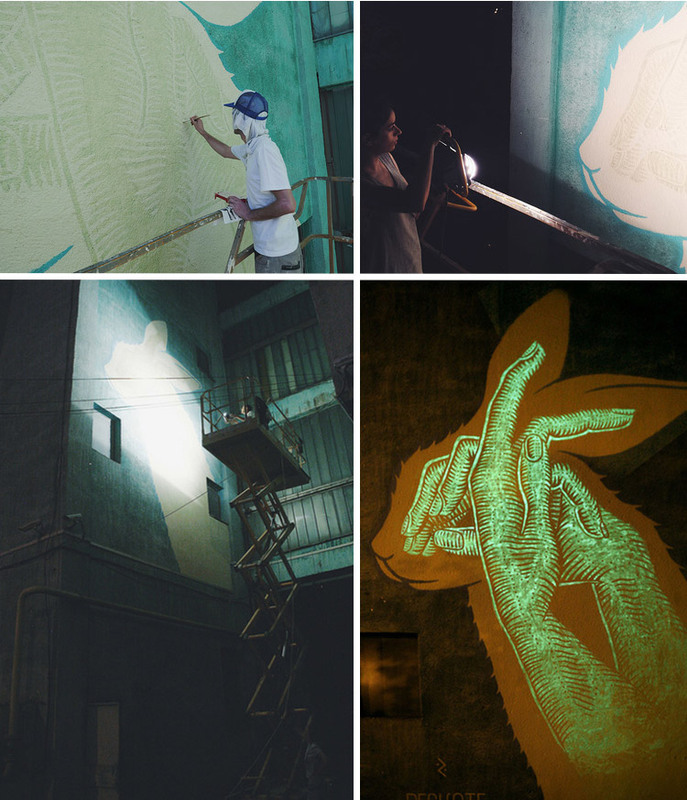 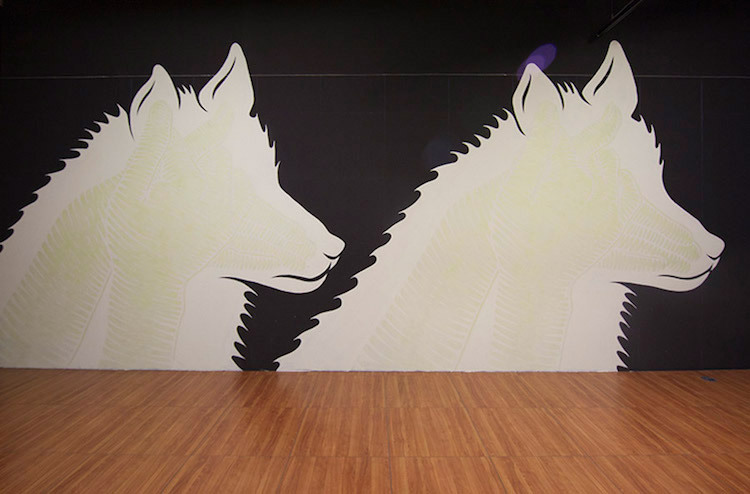 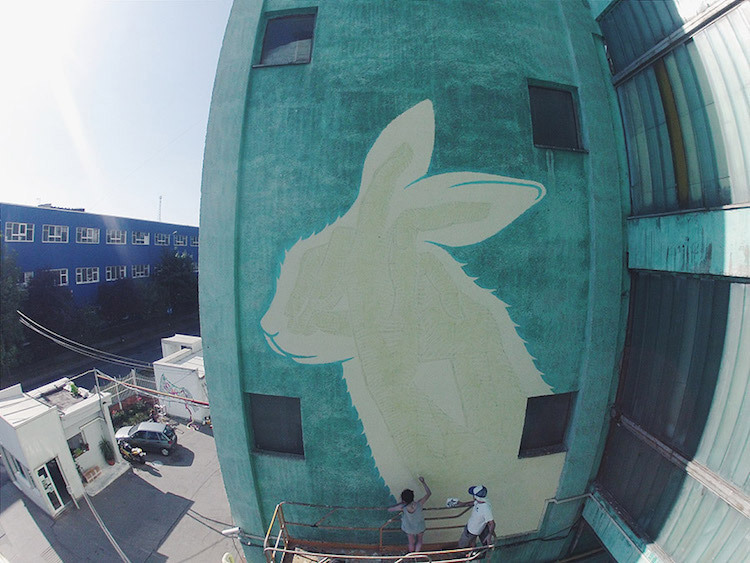 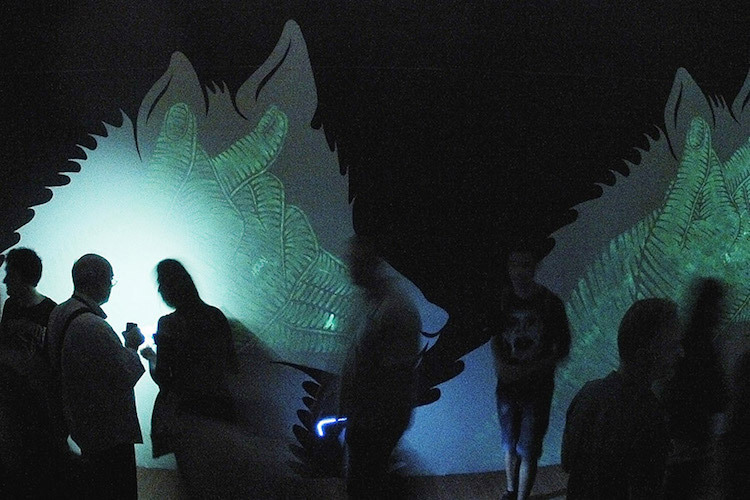 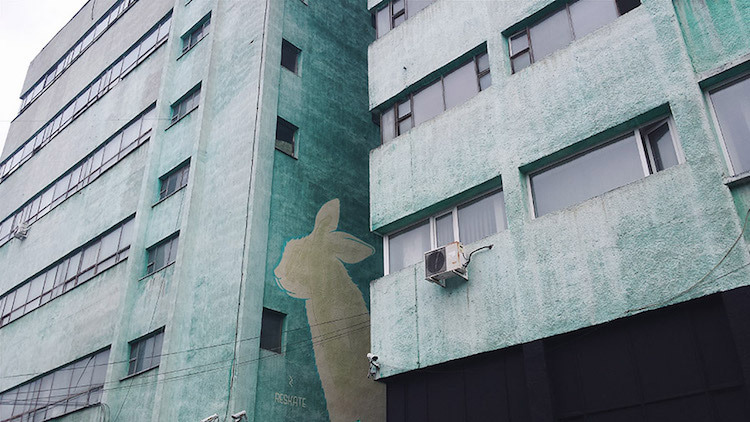 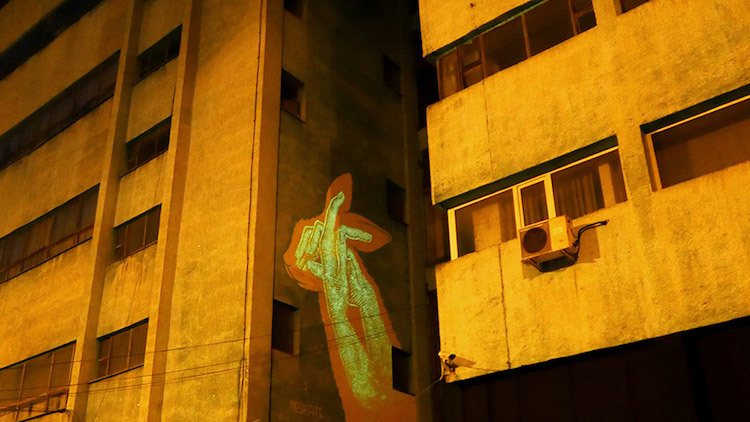 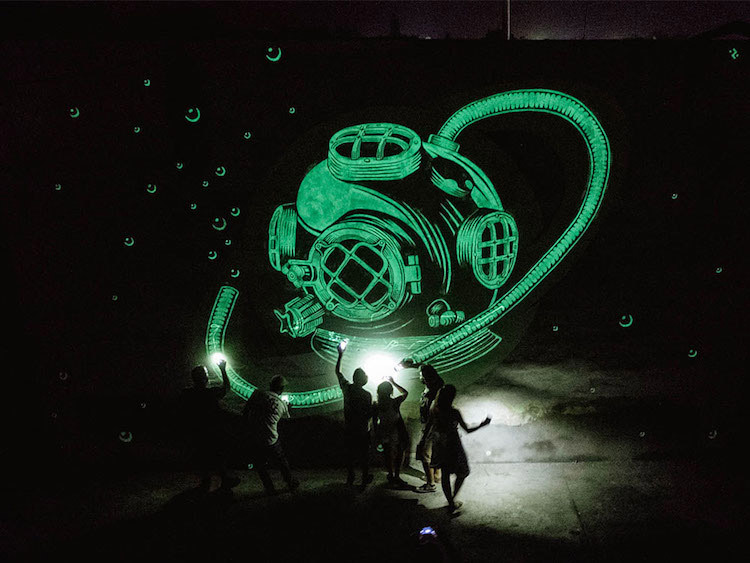 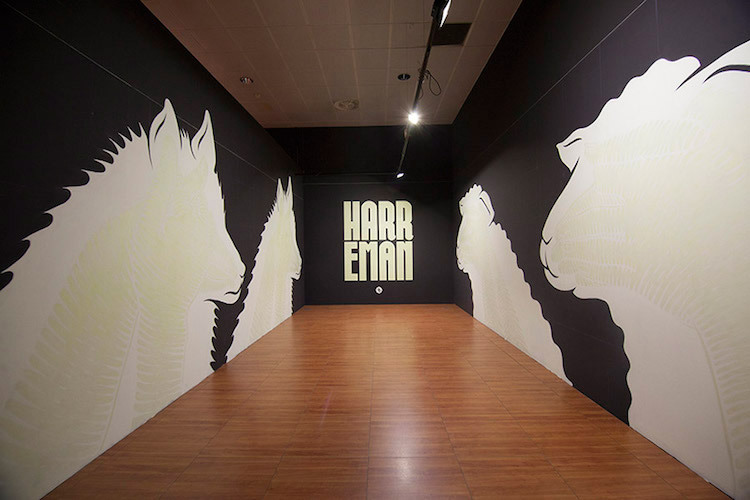 Barcelona-based Reskate Arts & Crafts use luminescent paint to create murals that not only light up when the sun goes down, they display a completely different (though often complementary) image. 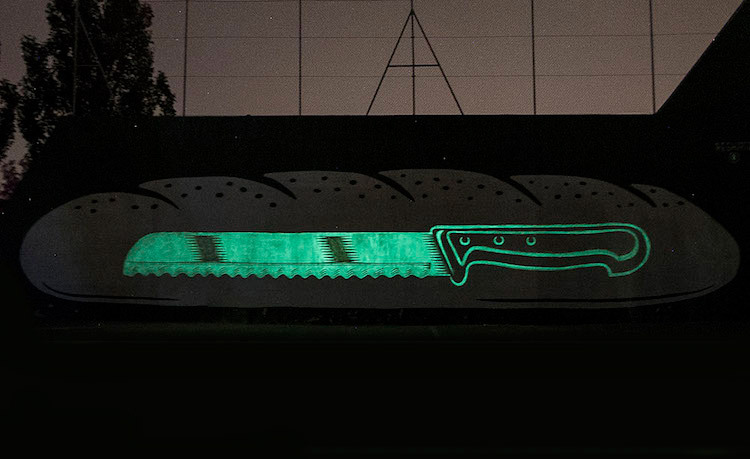 Their piece for Action Against Hunger, for example, is a loaf of bread that transforms into a bread knife. 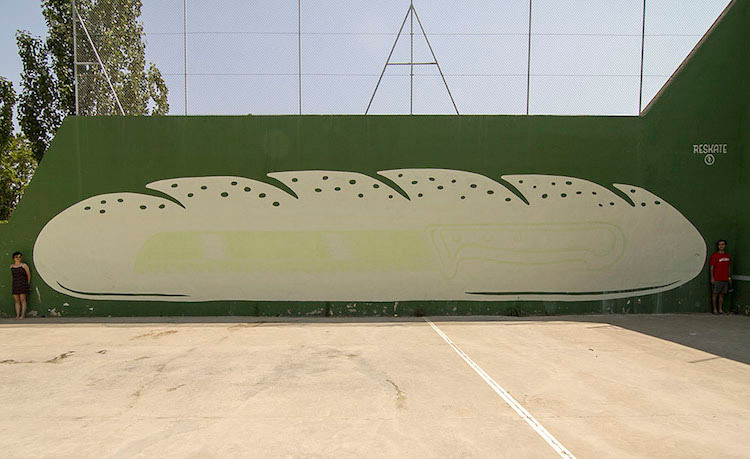 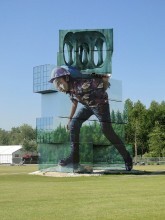 Check out more of Reskate’s ingenious double murals below!